Blackberry has officially announced that it will leave Pakistan after the demand of Pak government to provide the user data. The company has to leave Pakistan in the start of December. Now Pakistan Telecommunication Authority (PTA) has declared to give another chance of one month extension to Blackberry for further discussion. Pakistani government wants access to company's communication services. This is not first time demand of any government. It is also done in other countries that the governments gain data of users from Blackberry on demand. After the declaration from Pak government, Blackberry has officially given the following statement. "Government of Pakistan has notified BlackBerry that it has extended its shutdown order from November 30 to December 30. BlackBerry will delay its exit from the Pakistan market until then". PTA has only less than 5,000 customers in Pakistan and government want to have an access to all the users of Blackberry services. Blackberry will now negotiate the matters with PTA during next thirty days to see if they can reach a workable arrangement. PTA said that it will allow Blackberry to operate in Pakistan if it will give required access to its communication to Pakistani law enforcement agencies. 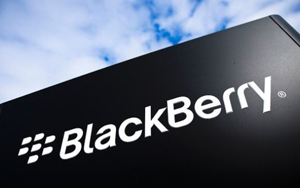 Blackberry’s BES services will now continue to work till December 30th, 2015 as normal, however, any future operations will depend on how Blackberry will respond to Pakistan’s demands during next thirty days.